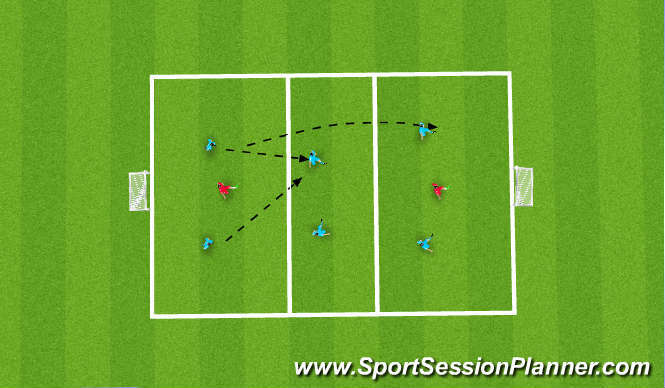 Transfer from one side to other playing 1-2s with middle session. 2. 3rd man support when ball is transfered. passing with quality & accurate control & vision. Holding possesion & turning. Understanding support runs. Angles & distances when to over lap. can self control be retained in competitive atmspheres whlst keeping the competitive edge. Struggled with quick support on transfere and communication was poor. until understanding kicked in session had a lot of pace in it. might try with keepers next time to make more realistic.